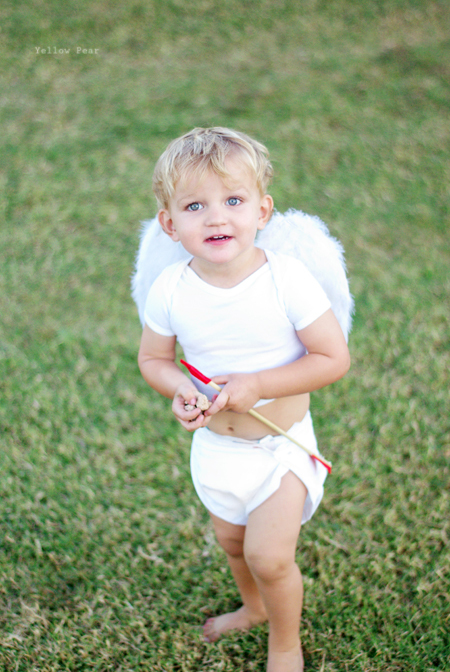 Happy Valentine's Day from Cupid. May you all be hit with his arrow! Q is extremely smitten with marbles, so I thought I should incorporate them somehow into his card...but how? And then it hit me pre-sleep one night. What can I say, I love me a good cheesy pun! Miss B decided she wanted to make a Wordle for everyone on her list, incorporating words that reminded her of each person/family. Luckily her list only included a few family members and a couple of friends so it didn't take her too long. 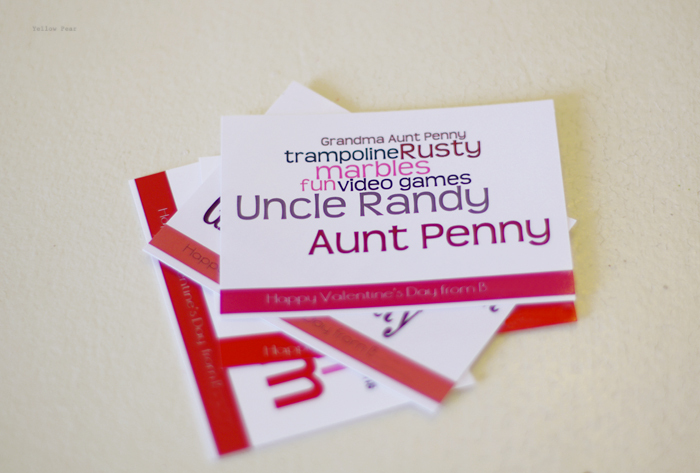 And I have to tell you a little about my fabulous Aunt Penny (her card is featured below). 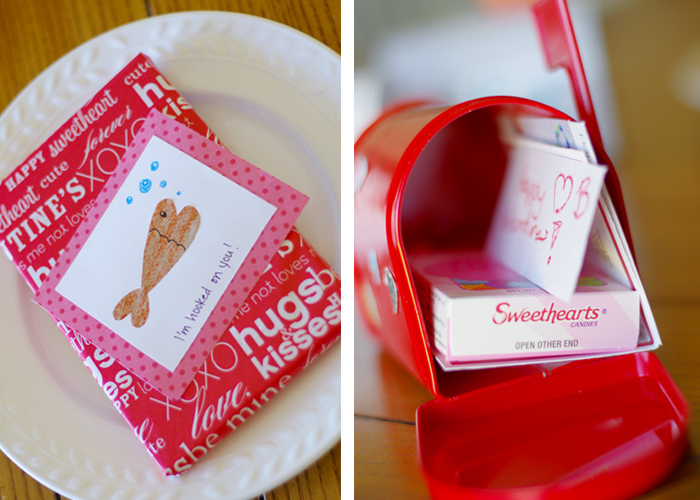 She has never, EVER failed to send my kids candy and a simple card for each and every Valentine's Day since Miss B was born. She's always been like an extra Grandma to my kids. And I didn't realize how much the cards meant to me until I saw her package again this year. I had to fight back the tears (and maybe some slipped out anyway). It's nice to be loved. 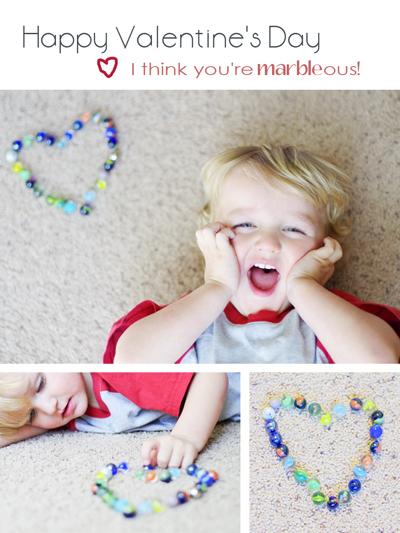 Now I am off to get ready for our family Valentine's party. 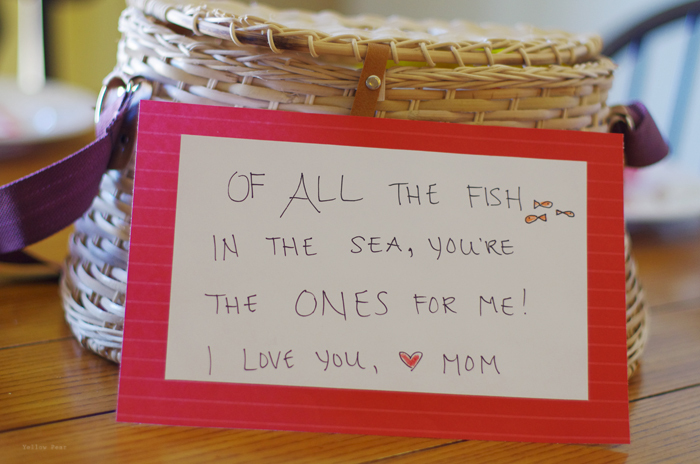 My mom set out a fanciful array of treats, cards and sentimental notes for every February 14th and it was such a highlight of my growing-up years, that I had to institute it for my own family. We usually do it in the morning but dear ol' Dad had to be to work at an unheard of hour, so it is postponed until this evening. I'll give you a peek if you promise not to tell. And I know I'm a nerd...I just can't help myself. It's just so fun to think of holiday themes and cheesy puns while I'm folding clothes/doing dishes/sweeping/mopping etc. Gives me something to look forward to! By the way, the basket is full of gummy worms and Swedish fish. Tee hee. Looks fun. 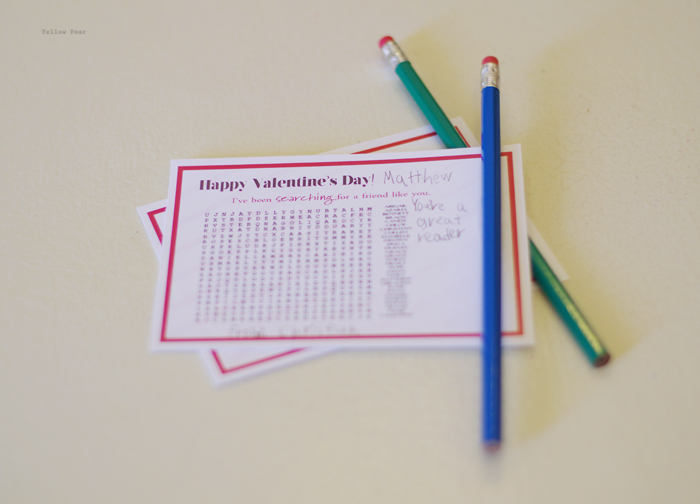 I can't believe individual notes on all the valentines! That's a lot of work. So festive! And a bit nerdy with the cheesy puns, but, that's why you are so loved. Everyone loves having quirky friends.